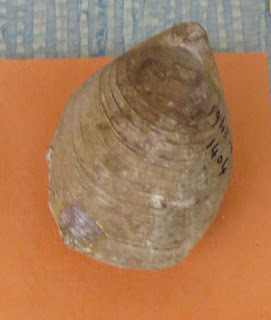 This picture is of a Terebratula sulcifera brachiopod fossil. It was found in Belgium. Fossil dates back to the Late Cretaceous Period (Cenomanian Stage). Fossil displayed at the Museum of Natural History in Paris France August 2016.